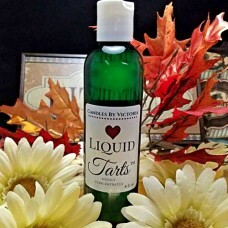 CBV Liquid Tarts are highly concentrated, long lasting and created specifically for the lower temp tart warmers but can be used in any type of warmer, from tealight to light bulb, to hot plate warmers, any warmer will work! Fill your home with a highly concentrated burst of fragrance that will last for several days! Squeeze 3 - 6 teaspoons per use of our special blend of CBV Liquid Tarts, (depending on the size of your warming dish). You just need to add enough to cover the bottom of your warming dish. When the scent is gone, simply discard the cooled liquid into the trash then clean out your warming dish with soap and water. The highest quality materials are used in creating our Liquid Tarts.